There are some great financial experts and there is no doubt why they are considered “financial experts”–they really know their stuff! I am not here to argue that, so Dave Ramsey, Suze Orman, David Bach if you are reading this remember that ok? In the words of Taylor Swift, “call me maybe?” We can talk this out. In all seriousness now…no more trying to be funny (for now, I can’t promise forever). You go to work, you make money, you may save some because that’s what we are told is the right thing to do. You pay down debt when there is some extra money because again that’s what we are told to do. Then you get frustrated because you have to borrow from your savings yet again or not be able to pay extra toward your debt some months. Not fun right? Ok Jen, what is wrong with that especially when I am doing what these financial experts tell me? What’s wrong is that you start to get tunnel vision and you forget to tune into YOU. In turn, you loose sight as to what you really want because this expert advice fogs up your vision. You are following the experts advice because they say it is the right thing to do…you are saving and paying down your debt. However, there is still something missing and you aren’t content. Sound familiar? This can cause frustration, and could cause your motivation for continuing to follow that advice to dwindle down. 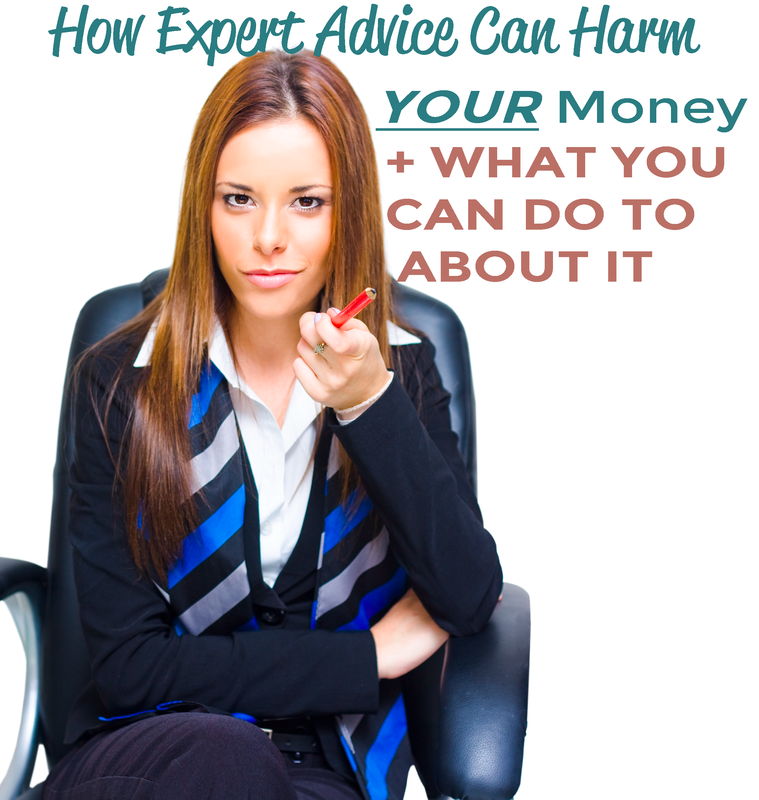 This is how expert advice can harm your money. You are following the experts advice BUT in a slightly different way and are more specific with your intentions of the savings and of your paying down debt. You are specifically saving for emergency savings AND trips. PLUS, you are paying down your debt so you will have that extra money freed up to start saving for your next car purchase. Bottom line, yes follow the advice, but be sure you genuinely tune in to YOU. What is so important to you that makes you so excited just thinking about it? Write it down and be very specific about it. What does it look like, how does it make you feel? This is what I call your money truth. Discover what exactly this is, be very clear + specific, and write down your money truth. Making this discovery will give you a whole new level of motivation and fulfillment! Didn’t you find Scenario #1 kind of blah? By tuning into you and being very specific you will reach your money truth more quickly!! So tell me what is your money truth? Please share this in the comments or if you are a hashtag lover feel free to share it on social media with the hashtag #mymoneytruth :-). I can’t wait to read your money truth! P.S. If you found this of value please be sure to share this post with the social media icons below. I would be honored and grateful :-).